It is interesting how the Missionary in Training Program began. 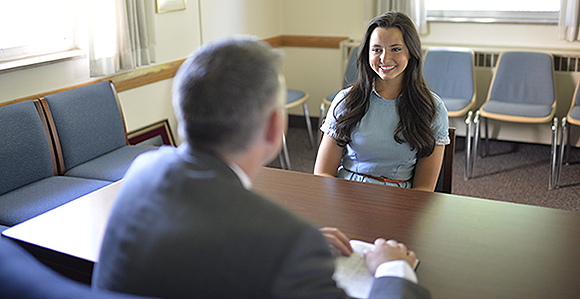 It started in October of 2012 when President Thomas S. Monson announced in the General Church conference that the missionary service age would be lowered to age 18 for young men and to age 19 for young women. 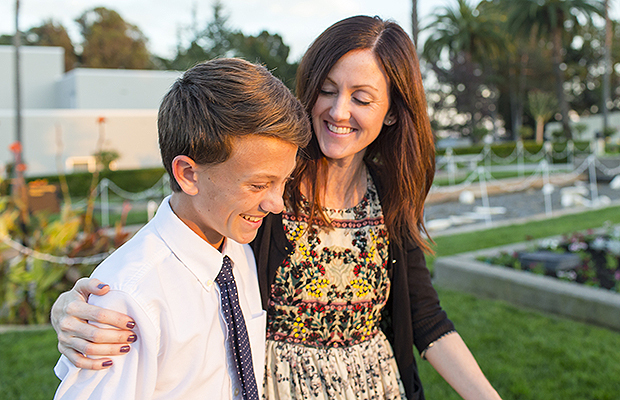 As this announcement was made, it was obvious to all that parents now would need to take a much more pro-active role in the training of their young children to be future missionaries. Having sent out many children as missionaries, and having served many years in various missionary roles, this subject often presented itself in my mind. But, no action was taken at that time. “My morning as a school bus driver [in Mesa, Arizona] was rather routine. I went walking on Date Street, read my Book of Mormon and enjoyed having no kids to drive for one school. I had a late start for the junior high school so was a half hour later than normal getting back to the bus barn. I clocked out for a big 45 minutes. “I decided to walk over to the Deseret Book store – located just over a half mile away. I had wanted to buy some “future missionary” badges for the children of our daughter, Kaylea and husband, J.D. – since they just bought mission-looking suits for their five boys. That moment in Deseret Book was super powerful. It was as if my head was opened and the whole program poured down into me. I literally saw a vision of the whole program – with a lot of detail – in just that second. And then for months I wrote and wrote and wrote. So, with that revelation of the Spirit, the program (in spite of me – but and only through the Holy Ghost) is very exciting and wonderful. And I am sure that it needs to be used by families everywhere. But, like most things that I create – even though they come of the Spirit, I have had difficulty in figuring out what I am to do with it. I printed seven copies of the book package and had a meeting with seven different families – whom I hand picked (including three of my own children) and none of them ever did anything with the program. (Though just this week I received a message from a daughter in Ohio – who was before in Germany – saying that they are going to start it with their family. I believe firmly that it is an inspired program and that it will work miracles for anyone who does it – and am still seeking that special family who will take it and run with it – and then write (or allow me to) their experiences on my Missionary In Training website. 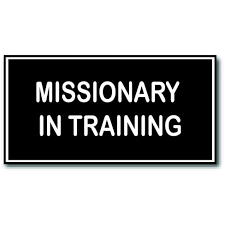 On this site, I have published material from the Missionary in Training program which I have written. And there will be more to come. In our mission preparation of our youth, we – as parents – need to make a conscientious effort to specifically plan and incorporate mission training and faith promoting experiences into our family life. In doing this, not all mission preparation needs to be scripture reading and church stuff – though that is all important. One of the great things that Lou and I did for our nine children as they were growing up was to participate in Church pageants. For many years we were in the cast of the “Jesus the Christ” Easter Pageant at the Mesa Arizona Temple. This had a major and very wonderful long-term effect of testimony building for the children. Through our participation, each one has developed a very strong testimony of the Lord Jesus Christ – as our Savior and Redeemer, His life and mission. This has had a profound effect on each of them individually and together as a family. Two different times we made the effort and sacrifice to travel to Nauvoo, Illinois to participate in the pageant there. And of course, the focus of this pageant is Joseph Smith and the Restoration of the Gospel. I could write a lot about our Nauvoo trip – and maybe will – but here is an article about the beginning of our Nauvoo experience and our train trip to get there. Nauvoo … Our Adventure begins with a train ride. A general interest story … Years ago, our family had a glorious adventure together. We were able to travel via train to participate as cast members in the pageant held annually in historic Nauvoo, Illinois. Volumes could be written of that experience, but I’ll begin with a rendition of our train trip back there. First off, I note that my wife and I have nine children. So, taking nine children on a train and doing the Pageant was truly an interesting adventure – to say the least. Prior to the pageant – for almost a year, we worked to build, create, and collect articles for our costumes. Unlike the Easter Pageant, we had to come up with our own – take photos and submit them for clearance and authorization. We looked everywhere to collect the many costumes – and especially the accessory items – the hats, the glove, the scarves, the ties, the socks, etc. This was a major effort. But finally, the big day of departure came. Going on the train meant that we had to get on it at Flagstaff to go east. Our journey started as our neighbor drove our big van with all of us to Phoenix. We thought that we were to go to the Greyhound station in West Phoenix to catch a bus to Flagstaff. We got there and found a sign that said that the station had recently closed and that we were to meet a shuttle bus (run by the Indians) from the airport. So, we were now a bit pressed for time but we rushed over there just in time. At this point I should say that we had 25 pieces of luggage for our crowd. This included all of our costumes, sleeping bags and bedding for all of us for the three weeks, regular clothes, food chests for two days of travel on the train – for our crowd, etc. So, Brother Hale helped us get all of that loaded onto the bus and we were soon off on the charter connection. Upon arrival in Flagstaff, the Indian bus line took us to a bus station – which was across the street from the train station. He was kind enough to take us also to the train station. We secured use of a giant old wagon on which we put all of our stuff. The train folks assured us that we could leave the whole trailer in an open bin of the station – until our departure the next morning. Another guy in our ward had a cousin in Flagstaff who owned a motel. When Scott told his cousin of our service trip, he offered to give us two rooms in his motel for free for the night. (Another great “tender mercy” of the Lord). The hotel “The Pony Soldier” was located down the road about two miles. (And our kids ranged in age from 1 1/2 to 17). We had arranged for two taxis to come for us. We learned that 5 was the maximum number of people to be in a taxi so that is why we had two. And learning that there were 11 of us, they almost made us take a third. But, they decided that the baby could sit on mom’s lap. So, we had a grand time there in the hotel that night. This was a first for us and the kids loved it. Next morning early, the two taxi cabs returned to take us to the train station. We were told that Flagstaff “law” would only allow any train to stop for a total of six minutes (so as not to hold up traffic – or whatever). And if this was not met, the train conductor would be arrested and a new conductor would have to be sent to Flagstaff from New Mexico. (True statement!) We were told that the off-coming folks would have three minutes to disembark and us on-coming passengers (more than just our crowd) would have three minutes to get on the train with all of our stuff. We were told that we could just go in as fast as possible, drop our stuff and then go upstairs – and then in a little while, we could return downstairs to the luggage area to organize and store our stuff properly. We somehow managed to get all of the stuff and us into the train – and then it was off full steam ahead. We went upstairs and found the seats to be giant recliners – like the ultimate in movie theaters or the first class section of a big airplane. Wow! We found seats all in the same area – another miracle. And after a little while, we were able to go down to get our stuff put together. The ride was absolutely fabulous. The kids had a grand time going to the dining car (which we could not afford) or to the “recreation room” at the other end of the train. Our nine-year old son was then into balloon tying (and was excellent at it) and he went up and down the train making balloon creations for young and old). The train went 72 MPH in the daytime and 90 at night. And we had to spend a night on the train. We wished that we had known that the A/C would be blasting full blast or we would have planned and packed better so as to have blankets with us for the ride. We drove through New Mexico, Oklahoma, Kansas City and then got off at Fort Madison, Iowa – located up-river about 15 miles from Nauvoo. It was then that we really wished that we had our big family van. We had to rent a car and could not afford to rent a big van. So, we rented a little car. And somehow we got all eleven of us in the car. (We left our collection of stuff at the train station – with the promise that we would be back for it soon. And we then didn’t even know how we would get back for the stuff. 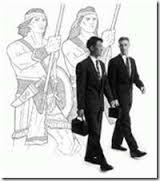 But, we were like Nephi and “went forth with faith”. We drove in our squished condition to Keokuk, Iowa (because from my Nauvoo mission experience), I wanted to enter Nauvoo from the South. We went to a fast food joint to eat. Some folks there – maybe store employees – were shocked as our large crowd came pouring out of the car and into the store. We were afraid that they were going to report us to authorities or something for child abuse or whatever. So, we quickly got our food and headed out – across the river and up-river to Nauvoo the beautiful. We drove to the campground where we were to stay. This campground – owned then by the RLDS church and rented to our church – had places for RV’s, tents, etc. We had saved up enough money to rent a single cabin – with bunk beds – for our crowd. The place also had a dining hall. 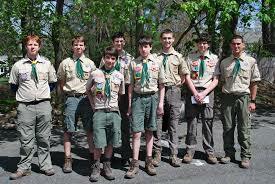 It was much like a Scout camp or similar. So, I left my wife and most of the kids at the campground and I headed off with my new friends back to Ft. Madison. We loaded all of the stuff into their vehicles and returned back to Nauvoo. We got all of the stuff to the cabin and began to take inventory. To our shock and horror, our main large trunk – that had most of our accessory items (which we had so painstaking worked to but and accumulate) was “missing in action”. We did not know what to do. We knelt and prayed as a family. I went to a pay phone – and after getting a large supply of quarters – began to make phone calls to the train company and everyone else to try to locate our trunk. I was on the phone literally for about two hours through this process. With the passage of time, I learned that our trunk had not made it off of our original Indian contract bus that we had taken from Phoenix to Flagstaff. But, it gets better (or worse) … The trunk was not discovered by the bus line and it remained on the bus. And after our departure, it remained on the bus undiscovered and was touring all over Arizona – and had been for three days. The folks (with my calls) finally located the trunk out in the middle of no-where Arizona somewhere. They then made the necessary arrangements to get the trunk back to Flagstaff and onto the train. So, we had to wait another three or four days for it to catch up with us. Luckily we were just in show practices at that time and didn’t yet need the costume items. So, can you see the Lord’s hand in all of this? We certainly did … and with grateful hearts, we gave thanks to the Lord for all of his many tender mercies in our behalf. We were ready to hit it with the show!